A distinguished bankruptcy lawyer with over three decades of experience which began with her clerkship for the Honorable Bertram Goldwater at the United States Bankruptcy Court for the District of Nevada, Reno Division, Sallie Armstrong represents clients throughout Nevada in all areas of bankruptcy, financial restructuring, corporate reorganization, creditor rights, debtor rights, insolvency counseling, receiverships, and related litigation. Sallie practices regularly in the United States Bankruptcy Court in both Reno and Las Vegas, as well as in state court. Her insolvency practice includes the representation of a wide range of stakeholders, including debtors in complex Chapter 11 cases, equity security holders, secured and unsecured creditors, including financial institutions, lenders, committees, purchasers, and adversary litigation defendants, parties to executory contracts, receivers, and commercial litigants. 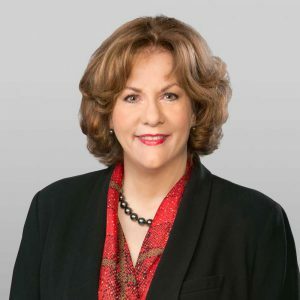 Sallie often serves as local counsel to national firms with clients in Nevada, and, as a result, has been able to participate in some of the largest and most significant Chapter 11 cases filed in Nevada. Working with various stakeholders, Sallie helps navigate the complexities of business insolvencies whether in formal bankruptcy proceedings, litigation, receiverships, or informal out-of-court workouts. Whatever the nature of her representation, Sallie works closely with her clients to help them find and develop the most appropriate business solution. Known for her thoroughness and insight, Sallie is recognized as one of Nevada’s leading bankruptcy lawyers. 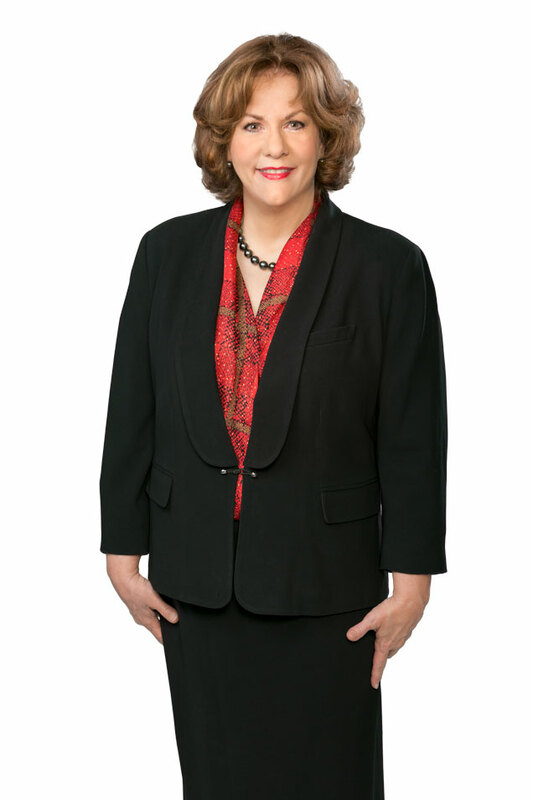 Sallie has had an AV Preeminent® peer review rating from Martindale-Hubbell for many years, and in 2013 she was selected as a 2013 Top Rated Lawyer in Corporate Restructuring and Bankruptcy by American Lawyer Media and Martindale-Hubbell. Sallie has been elected by her peers to U. S. News – Best Lawyers every year since 1989, and, in 2012, she was chosen as Best Lawyers’ Bankruptcy and Creditor Debtor Rights / Insolvency and Reorganization Lawyer of the Year. Served as local counsel to Covington & Burling, LLP, and, in that capacity, represented the Official Committee of Unsecured Creditors in the Ahern Rentals, Inc. Chapter 11 case filed in the United States Bankruptcy Court for the District of Nevada (Reno Division) in December 2011. The Committee’s goal and counsel’s task was to obtain the best treatment for all unsecured creditors, and a fair and cost-effective procedure for the liquidation of personal injury claims. The case was a success – all unsecured creditors in the case were to receive 100% of their allowed claims, plus interest, within one year of the effective date of the plan, and all personal injury claims were to be cost-effectively liquidated with all allowed personal injury claims receiving 100% of the allowed claim, plus interest, within one year of the effective date of the plan. Served as local counsel to Milbank, Tweed, Hadley, & McCloy, LLP, and, in that capacity, represented the Debtors in the jointly administered cases of Circus and Eldorado Joint Venture, dba Silver Legacy Resort Casino, and Silver Legacy Capital Corp. filed in the United States Bankruptcy Court for the District of Nevada (Reno Division) in May 2012. The case was a tremendous success with the Debtors’ reorganization plan becoming effective within approximately six months after their Chapter 11 filings. Served as local counsel to Milbank, Tweed, Hadley, & McCloy, LLP in the Chapter 11 cases filed by Rodeo Creek Gold, Inc. and its affiliated debtors in the United States Bankruptcy Court for the District of Nevada (Las Vegas Division) in February 2013, and, in that capacity, represented Credit Suisse AG as the Debtor In Possession agent and Debtor In Possession lender. Credit Suisse supported a structured dismissal of the cases, which represented an efficient resolution of the cases. Served as local counsel to Graves, Dougherty, Hearon & Moody, P.C. in the Chapter 11 cases filed by America West Resources, Inc. and its affiliated debtors in the United States Bankruptcy Court for the District of Nevada (Las Vegas Division) in February 2013, and, in that capacity, represented the largest creditor who also served as the Debtor In Possession lender. Successfully represented a landlord who was also a significant creditor in the Chapter 11 case filed by Tropicana Entertainment, LLC in the District of Delaware in 2008. Successfully represented the Debtor in the case of In re Sagewood Manor Associates Limited Partnership. The opinion of the United States Bankruptcy Court for the District of Nevada (Reno Division), which appears at 223 B.R. 756 (Bankr. D. Nev 1998), remains a frequently cited case for issues involving plan confirmation. Successfully represented the Official Committee of Unsecured Creditors in the case of singer and entertainer Wayne Newton in negotiating a consensual plan which was consummated. As part of the case, after a trial under 11 U.S.C. Section 541(a)(6), the Committee obtained a pivotal decision from the Court declaring part of Mr. Newton’s post-petition earnings to be property of the bankruptcy estate. Successfully represented the Official Committee of Unsecured Creditors in the largest Chapter 11 case then ever filed in Nevada, a mortgage brokerage with over $76 million in investor liability. Published decision: In re Lemons & Associates, Inc., 67 B.R. 198 (Bankr.D.Nev. 1986).